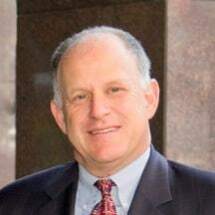 Andrew M. Zacks specializes in San Francisco real estate litigation, including landlord/tenant, residential rent control, neighbor disputes, purchase and sale disputes, non-disclosure matters, land use regulation, land use permitting, property rights, the Ellis Act and appeals/challenges to local ordinances and administrative decisions. Having practiced exclusively in this area for more than 20 years, Mr. Zacks is frequently retained to provide consulting services and expert testimony. Mr. Zacks serves as a mediator in real estate disputes as a part of the Superior Court/Bar Association of San Francisco Early Settlement Program, and as a lecturer/panelist in the San Francisco Bar Association’s Annual Seminar on “Recent Developments and Hot Topics in San Francisco Landlord Tenant Law Practice”. Mr. Zacks is rated AV® Preeminent™ by Martindale Hubbell and has been repeatedly named a San Francisco Super Lawyer®. Mr. Zacks has successfully litigated before local administrative tribunals and at all levels of the State and Federal Judiciary, including the United States Supreme Court. Mr. Zacks has achieved many successes in trial courts and in arbitration proceedings, and he has won more than 24 victories in the California Court of Appeals and California Supreme Court. Mr. Zacks has represented parties in three separate petitions in which the California Supreme Court granted review.